People around the world have been asking for Google Maps on iPhone. Starting December 12, Google was pleased to announce that Google Maps is here – rolling out across the world in the Apple App Store. It’s designed from the ground up to combine the comprehensiveness and accuracy of Google Maps with an interface that makes finding what you’re looking for faster and easier. The new Google Maps app is available for the iPhone and iPod Touch (4th gen) iOS 5.1 and higher, in more than 40 countries and 29 languages, including Chinese, Dutch, English, French, German, Italian, Japanese and Spanish. Some of the features listed below are not available for the app in all countries. A simple design shows more map on screen and displays features when you need them. We think of it as “the map is the interface” meaning the map itself plays a bigger role in how you discover and navigate information. Because it’s a vector-based map, images and labels are sharper and load quickly for smooth tilting and rotating of 2D and 3D views. We update Google Maps tens of thousands of times a day in locations all around the world. Updating it with the latest road names, business addresses and more. We know we’re not perfect so if you see something that’s not right, shake your phone to send us feedback and help make Google Maps better. The search box at the top enables you to search across more than 80 million places to find what you need. Pinpointing businesses and/or points of interest with addresses, phone numbers and reviews from people you trust. 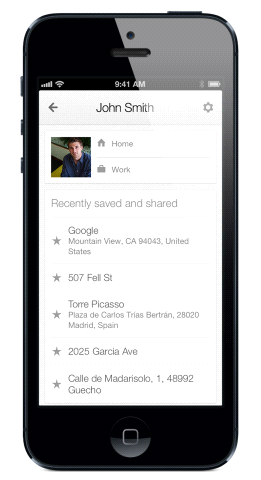 Toggle between the map and a full list of search results by tapping the list icon to the right of the search box. A new, interactive “info sheet” rests at the bottom of the screen displaying more details about the place you see on the map. Tap to expand the info sheet for more details such as address, ratings, click to call, Street View, menus, website, reviews, and more. Try a categorical search such as [italian restaurant] and swipe the info sheet from ight to left to see more results. As you browse, the red pin moves to each location on the map. Get where you want to go quickly with voice guided, turn-by-turn directions. Use suggested routes, estimated travel time, and live traffic information to avoid congested routes. Swipe the navigation banner at top to preview upcoming turns on the map, or if you prefer, use the step-by-step list view. Tap the Views menu on the bottom right to add new layers of information on the map. Explore the world's terrain from afar with high-def satellite imagery, see live traffic information, and easily find public transit routes when you're visiting a new city. Try adding the traffic view to get a quick glimpse of traffic in your area. Green means traffic is flowing, yellow means it’s slow, and red indicates poor traffic conditions. Find transit routes by train, bus, tram and subway systems for nearly 500 cities around the world. Get pick-up locations, departure times, stop information, and estimated travel time, all in the palm of your hand. Pull up the info sheet to get step-by-step instructions from your starting point to your destination, including how far you need to walk to the bus stop, which bus you’ll need to take, where to transfer and where to get off. Visit a destination before you get there, even while on-the-go. See landmarks, parks, storefronts and over 5 million miles of road in more than 40 countries with 360° street-level images. With Business Photos you can take a tour of the interior of more than 100,000 participating restaurants, businesses and cultural sites worldwide. Sign in to your Google Account to save your favorite locations, including your home and work, to quickly find them again in Google Maps. 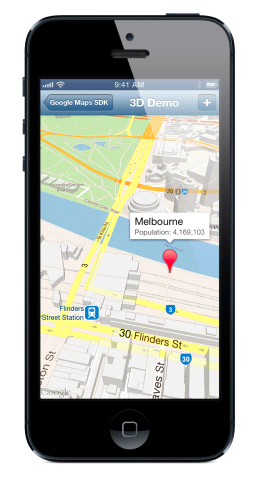 With the Google Maps SDK for iOS, developers can feature Google Maps in their applications. With rotation, tilt, 3D buildings and many other features, developers can create more useful and interactive apps for their users. 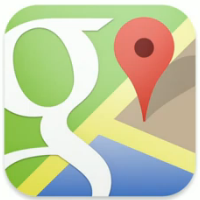 Apps can also launch the Google Maps app using a URL scheme, enabling users to search and get directions. Visit the Apple App Store today and download the new Google Maps app. 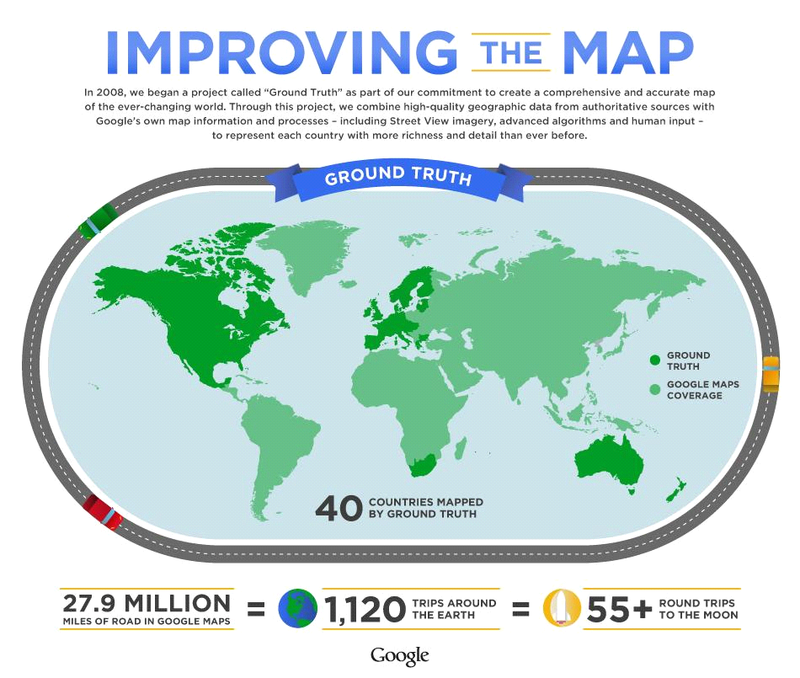 For the latest Google Maps news, check out the Lat Long blog.